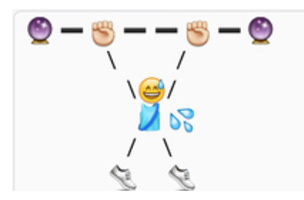 A new app translates your posts into emoji with a sharable database of meanings. Tiny keyboards and our stubbornly large fingers have put written communication in second place when it comes to texting a friend or summing up our day in a social post. 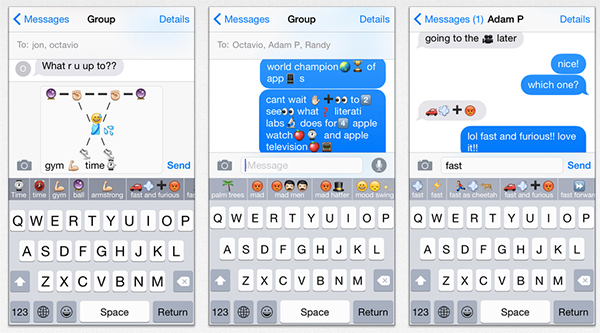 But scrolling through the many moods, vegetables and transportation icons of the emoji keyboard can be just as slow. Enter Keymoji, a new app that integrates with all your mobile keyboards to translate and auto-populate the emoji you use most. Like autocorrect, the keyboard offers emoji options based on the things you type, so you can pick from the most relevant options. Keymoji also pulls definitions for a user-generated pool of submissions within the app. So for those times when a picture of a car really means “take a cab,” that option might appear too. While it has the potential to devolve into emoji’s answer to Urban Dictionary, the fun of Keymoji will be exploring the creations and definitions of other users. Emoji slang can’t be too far behind.